Though neither Roger Goodell nor Tom Brady appeared in the courtroom, today might’ve been the single most important day in this whole Ballghazi mess: the NFL and NFLPA made their cases in front of a three-judge panel that will decide, once and for all (barring one more appeal to the U.S. Supreme Court, which will never happen), whether Brady will serve the four-game suspension initially imposed for his role in the Patriots’ ball-deflation scandal. The quickest of recaps, because this feels like it’s been going on for years. 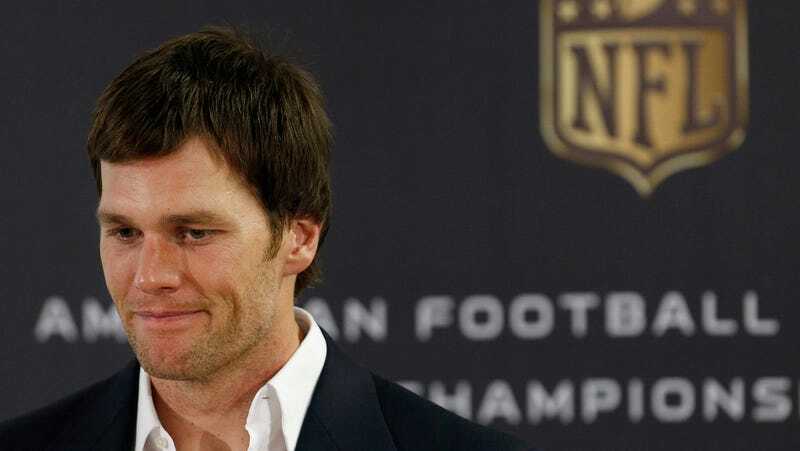 The NFL handed Brady a four-game suspension, which he appealed to an arbitrator. That arbitrator was Roger Goodell, who upheld the suspension. The players’ union, on behalf of Brady, then sued the league in federal court, where a judge sided with Brady and threw out the four-game ban. The NFL appealed, and that’s where we are today. Despite this appeals hearing feeling like an afterthought, it sounds like the judges were remarkably sympathetic to the NFL. Here’s the point where we remind you (and the judges?) that whether Brady cheated or not is immaterial at this point. The judges are merely deciding whether the judge in the initial case properly applied the law—and that judge cited a number of shortcomings in the NFL’s handling of the suspension. Some of the comments made in court today are surprising in their frankness, but they really should not matter. This is about whether the NFL’s investigatory and disciplinary processes were fair under labor law, not about whether anyone deflated footballs. Still, some experts see the judges’ stances on Brady today as harbingers of their eventual ruling. Honestly, the NFL winning its appeal here would be the most shocking thing to happen in this whole bizarre shitshow. We’ll find out in June, when the judges are expected to issue their opinions.